A highlight of the Guildford Festival each year, the races are fought out by the country’s top road racers. 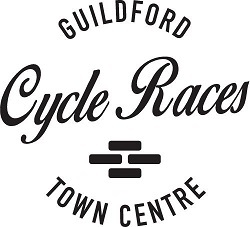 This is guaranteed to bring a fast and hard-fought main event on Guildford’s notoriously tough course, with its cobbled climb up the High Street and tight, narrow corners out of North Street. As well as the main event a programme of supporting events is also offered including the ever popular ‘youngsters’ race where many top cyclists of the future get their first opportunity to ride in such a big event. The biggest applause is often saved for the smallest riders! Race entries are now closed on the British Cycling website. For more details on the start lists for the events please check out each of the race pages.